Join us this Thursday, Jan. 21 at 6:00 p.m. at St. Sava Church in Merrillville, Indiana for our weekly Akathist prayers (Click here to learn more about the Akathist prayer services at St. Sava Church). This week we offer praises for St. John the Baptist. 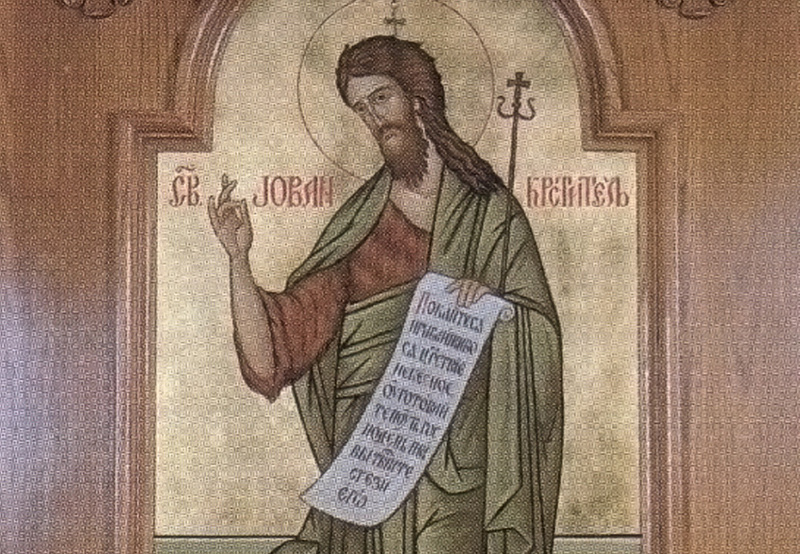 This week’s Akathist is dedicated to St. John the Baptist. St. John’s greatest role during his life was enacted on the day of the Theophany, and because of this the Church has, from the earliest times, dedicated the day following that feast to his memory. St. John is commemorated several times during the year, but his greatest feast is on January 20/7 (January 20 according to Gregorian Calendar and January 7 according to Julian Calendar). Among the Gospel-figures surrounding the Saviour, the person of John the Baptist holds a very special place, by the manner of his birth in this world and of his earthly life, by his role of baptizer of men to repentance and his baptism of the Messiah, and lastly, by the tragic manner of his departure from this world. He was of such moral purity that he indeed deserved the name “angel” as he was named in the scriptures, rather than being thought of as just a mortal man. St. John differs from all the other prophets in that he had the joy of showing forth to the world the One Whom he had foretold, Our Lord Jesus Christ. 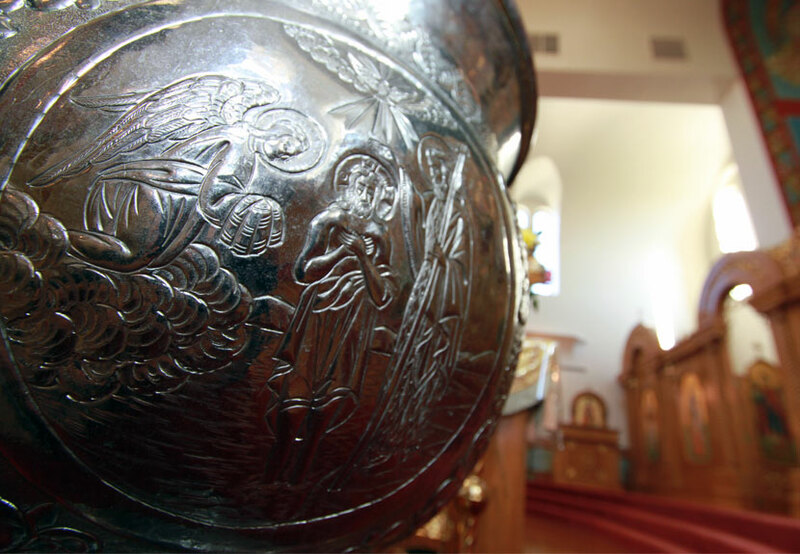 The icon of St. John the Baptist is an icon that you can more closely examine for yourself inside the St. Sava Serbian Orthodox Church in Merrillville, Indiana. The icon of St. John can be found immediately to the right of the South Doors, also called the Deacon Doors, of the iconostasis that separates the nave from the sanctuary inside the Church.